...Better understanding of the players history, experience,level of play,coaching and problems with himself both on and off the field gives me a greater in site on the athlete. This information starts the ball rolling in his training to speed up the recovery process both mentally and physically. With 14 years of Professional baseball experience and my knowledge having gone through it first hand, I can relate to the athlete of any age or level of playing experience.Its very comforting to have a person you can trust that's gone through what your doing and have the know how to Analise,adjust and redirect themselves back to where the student needs to be. This game is very challenging on many fronts, being prepared is an understatement for what needs to be done! We start with the fundamental breakdown of the pitchers throwing motion and then to the deli every. We need to be able the throw the ball correctly before we can pitch correctly. I look for the "natural" throwing motion of the individuals arm. Mike Flanagan of the Baltimore Orioles taught me the "Free Ride" for the arm. The ability to throw the baseball with easy effort and comfort. Letting the natural arm motion lead the way and build around that. After the breakdown, we start with the foundation. That foundation is the ground for building a stronger,faster and more consistent balanced pitcher/athlete. Lower body is where you find the problems for all pitchers of any age. How well you use your lower half is the foundation. My Professional baseball experience and "NASM" training, National Academy of Sports Medicine,has blessed me with the ability to help all players of any age and skill levels. Staying fundamentally healthy is the road to recovery! Learning the proper technique is vital to the health and well being of young players, frankly that's where it starts. There's alot of information out there, but the right information is what will keep the players healthy and off the D/L. Teaching the players the "know how" empowers them to be accountable for there actions both on and off the field.CONDITIONING! Is a key part to all of us as athletes and without it we are like Ferrari with no gas, looks good but goes no where! From my playing days and training myself for many years of competition, the NASM information I've gained, I have what it takes to lead all players of all ages. 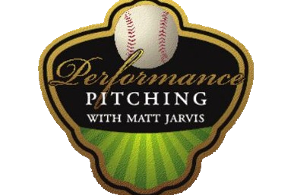 We all can't be "Power pitchers"! As tho we would like to be, understanding who you are as a pitcher is very important. Don't be mislead to believing you are, there are only a few types of pitchers out there: 1-"Power Pitcher", nice to be one but, those who are one, are few and far between. Typically those pitchers don't last long because of the force they need to produce high velocity. The body can only sustain that for so long, then starts to break down. 2-"The Finesse Pitcher",not over powering pitcher but can throw the ball with some force at times. This pitcher has the ability to change speeds, locate very well and has more than two pitches.This pitcher trusts his stuff more than the power pitcher does. 3-"Junk Pitcher" kind of self-explanatory. This pitcher doesn't have a fastball and uses more off-speed pitches to get guys out. This pitchers doesn't last long due to the inconsistency from the pitches they throw. I heard along time ago to "pitch with what you got and not what you don't have'. That little bit of information made me a better pitcher once I figured out that riddle and the answer was to be who you are and not somebody your not.